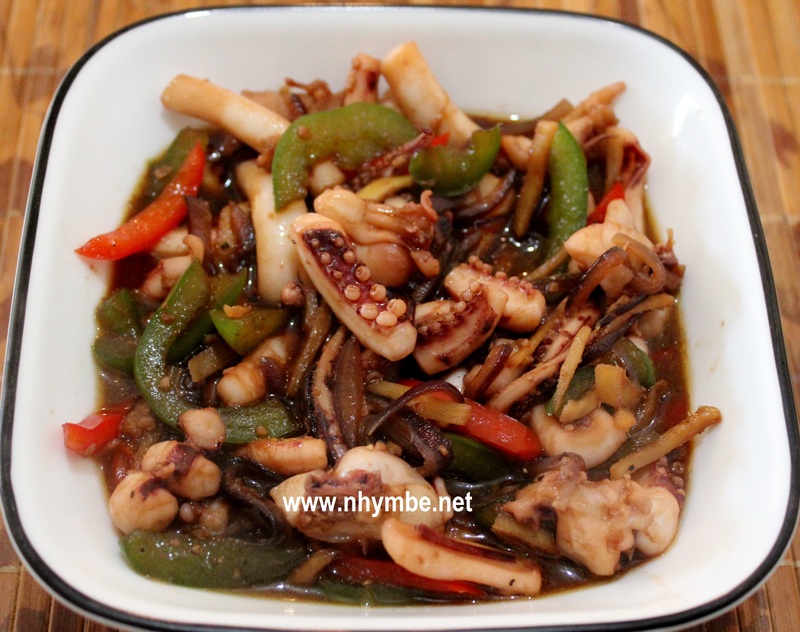 1) Saute garlic, onion, ginger followed by the squid. Add the oyster sauce, soy sauce, and pepper. Under medium heat/fire continue cooking while stirring for 2-3 minutes. 2) Add the red and green bell peppers and continue cooking while stirring for 1-2 minutes.